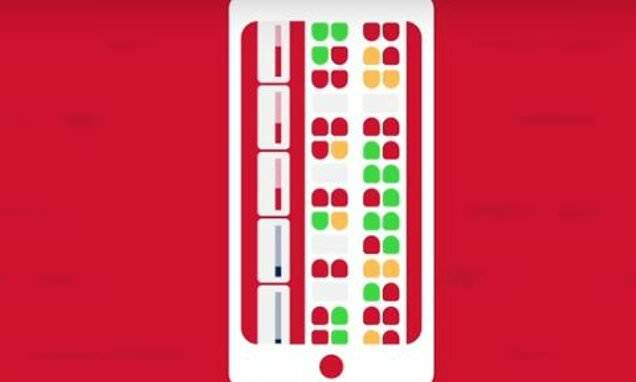 Sensors that detect whether a seat is free have been rolled out across an entire UK train fleet for the first time. London North Eastern Railway (LNER) has begun using the technology above seats on all its trains to make it easier for passengers to avoid having to stand. The system, which was first trialled in August, detects which seats are occupied by activating beam sensors twice between each station the train stops at. Passengers can view digital maps showing which seats are free by connecting their smartphones to the onboard wi-fi. A traffic light system has also been installed above seats to display their current and future availability. Red when a seat is reserved for the whole journey. Research by the train operator showed the lengths that passengers will go to secure a seat on a service, with almost a quarter (22 per cent) admitting they have a strategy to ensure they travel in comfort. A survey showed that two-thirds (64 per cent) of passengers have deliberately lingered near seated passengers just before the train pulls into a station, while over a third (39 per cent) use the tactic of ‘kestrelling’ – hovering over an apparently vacant seat to wait and see whether it’s free. Thirty per cent regularly ‘coach patrol’ – walk up and down train carriages to search for an available seat – whilst 65 per cent use the ping-pong tactic of frantically turning left and right to figure out which way to go to find a seat. The research also revealed that confronting someone who’s sitting in a reserved seat is too much for some. 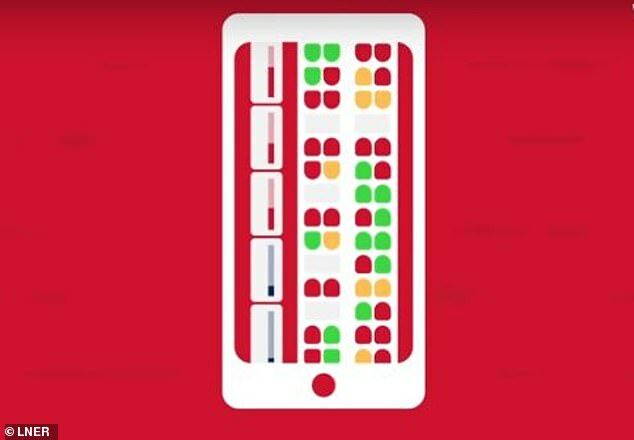 Forty per cent of passengers regularly book seats in advance to avoid run-ins with others, while over a half of people (56 per cent) have felt too awkward to ask another passenger to move out of their reserved seat or move bags off seats. Meanwhile 36 per cent admitted to having sat elsewhere because someone was sleeping in their reserved seat and nearly a quarter (24 per cent) have moved coaches following a ‘seat altercation’. And half of those surveyed (51 per cent) would actually prefer to stand or look for an alternative seat than ask a passenger to vacate their reserved seat. 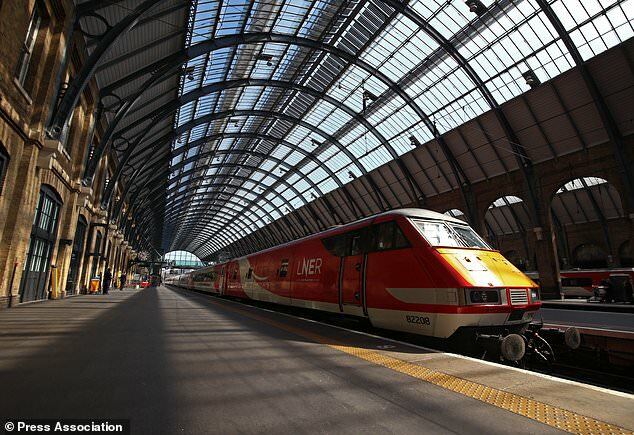 LNER took over the operation of trains on the East Coast Main Line from Virgin Trains East Coast (VTEC) on June 24, returning the route to public ownership. Labour leader Jeremy Corbyn was involved in a long-running row over seats with VTEC after recording a video in which he sat on the floor of a London to Newcastle train in August 2016. Mr Corbyn claimed the service was ‘ram-packed’ but VTEC insisted he and his team walked past available seats before filming started. LNER commercial director Suzanne Donnelly said: ‘We know some of our customers can become anxious when they are trying to find a seat, whether they are asking for their reserved seat back from another passenger or struggling to find an available unreserved space.